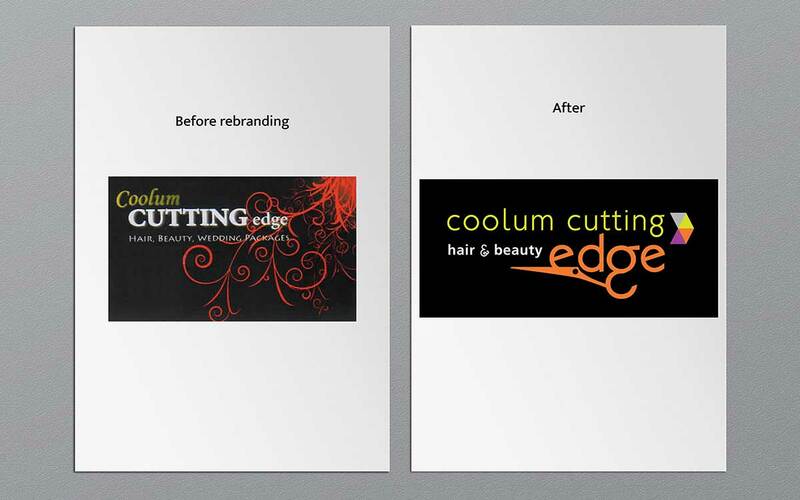 Here’s a ‘behind the scenes’ look at a real re-branding job undertaken by Soul Space Design. 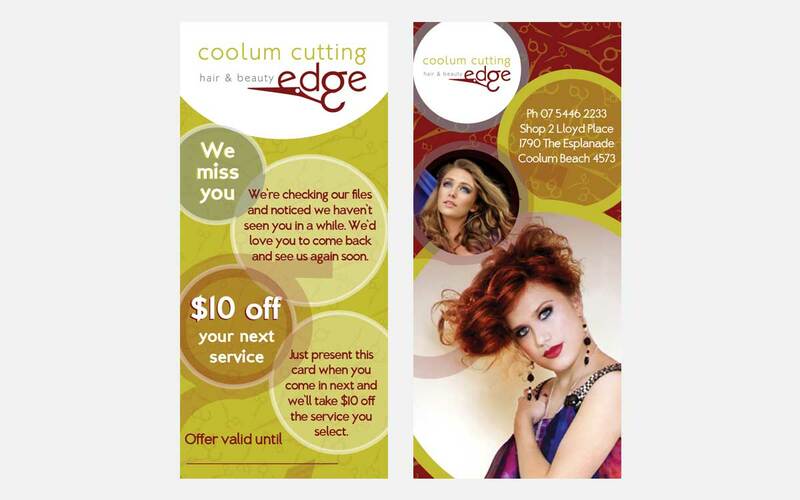 Located in Coolum Beach, after 20 years in business, Coolum Cutting Edge Hair Salon was in need of rebranding. 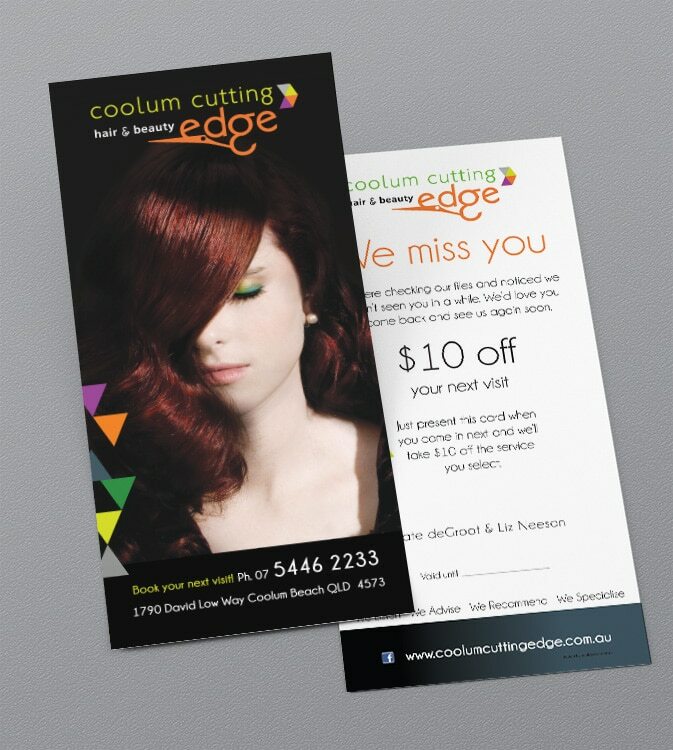 Our challenge was how to visually communicate the salon’s professionalism, ‘cutting edge’ approach and attention to detail. We asked a lot of questions to find out about re-branding goals, brand aspirations and budget. How is the marketing material going to be used/distributed? We listened to what the client knew was needed and offered suggestions. Once all the information was gathered, we sent the client client a written fee proposal. 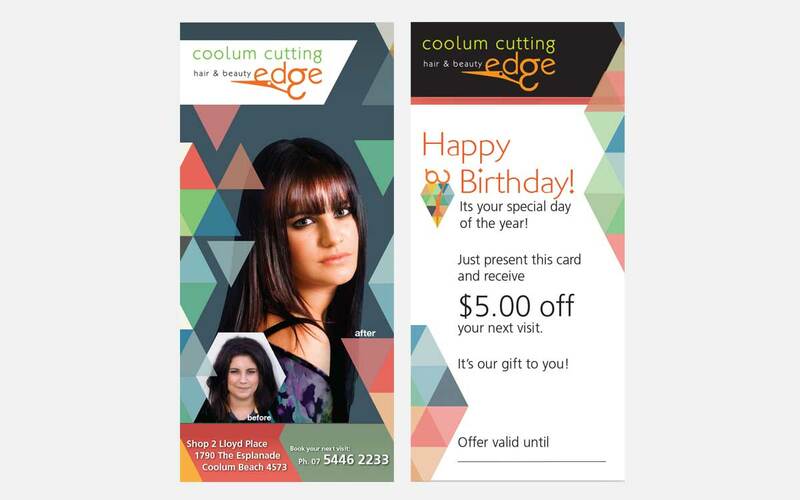 After receiving the ‘go ahead’ and the deposit the design brief was developed. Our design approach is always based on research. 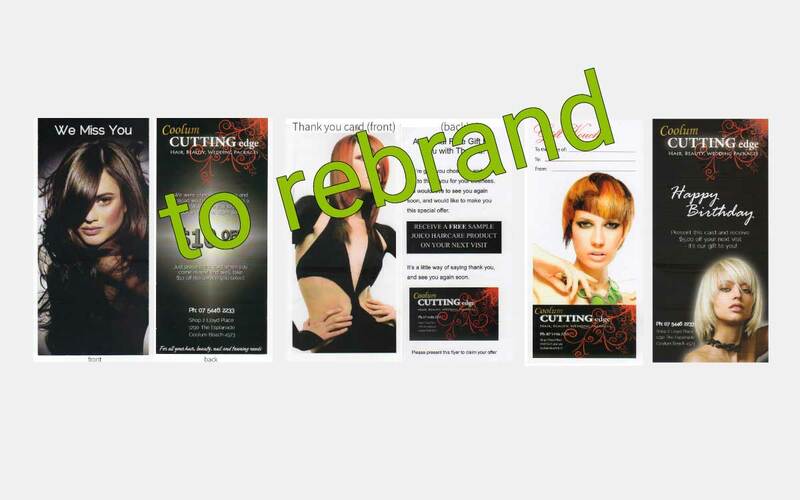 We want to make sure our approach to the re-branding each business is the right one for them! Time frame 5 – 7 days. 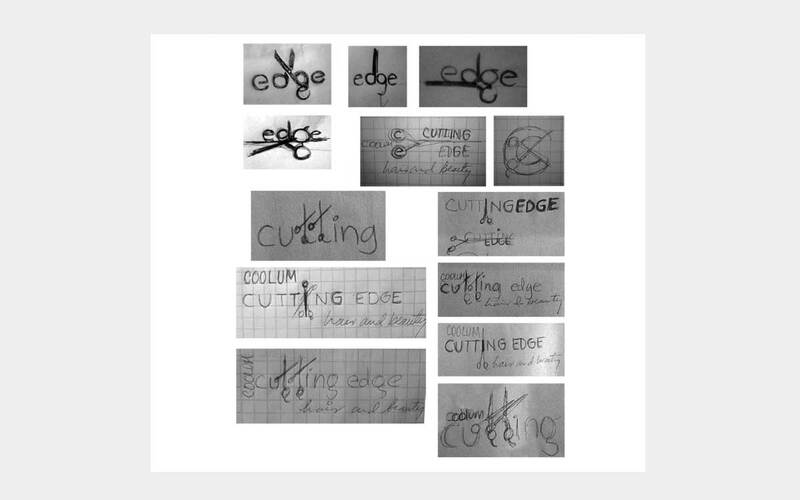 Once the design research was done we started hand sketching designs for the new logo. We then proceeded to polish our ideas. We use Adobe Illustrator to create vector based graphics. This high end software for creating graphics helps us continue our design journey with accurate precision without compromising creativity. Time frame: 2 – 3 days. Choosing our best designs, we polished them some more before presenting them to the client. In general, we present between 3 – 5 designs. 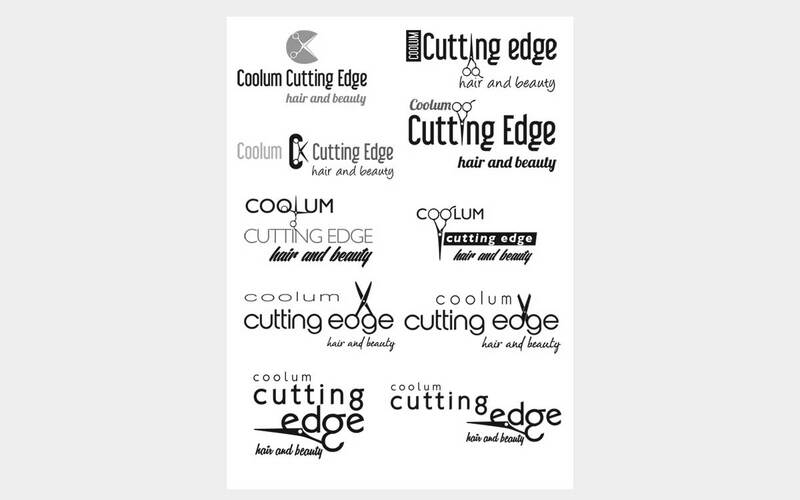 For Coolum Cutting Edge, 8 separate designs of the same concept were offered. Timeframe: 3 – 5 days. 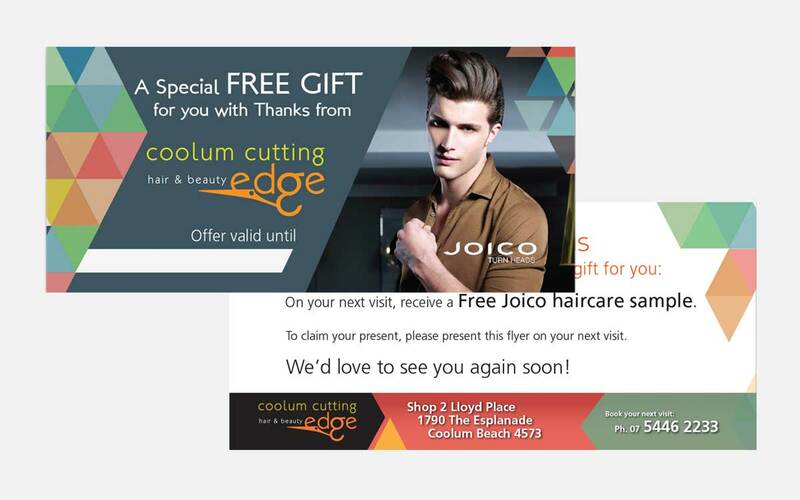 After receiving feedback from the client, the required changes were implemented. The result: a brand new logo! We were now ready to commence the conceptual design stage for the new brand: testing colours, themes, typography… the VISUAL IDENTITY! 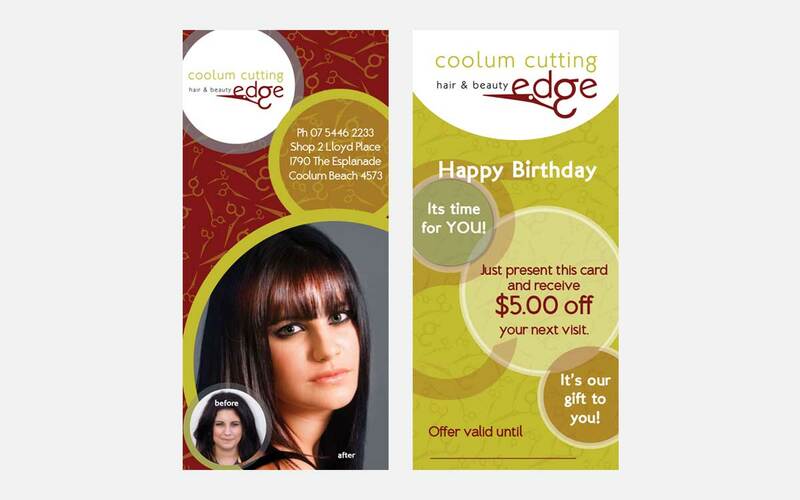 After receiving feedback from the client, we made some final and the design was approved. 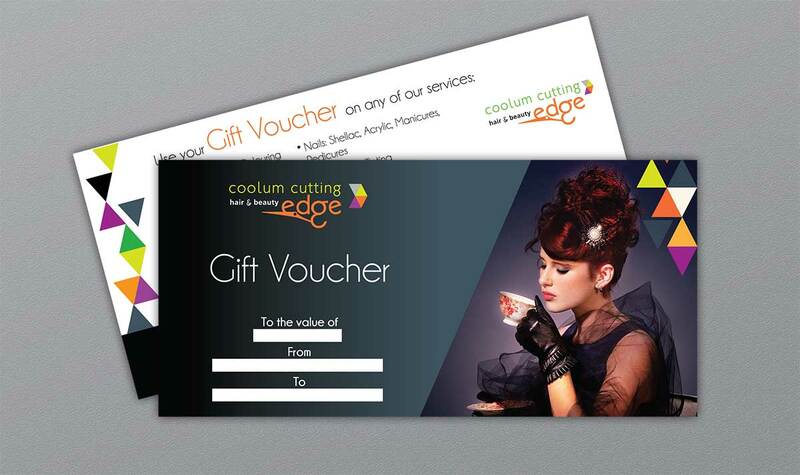 The end result is a beautiful brand identity that our clients can call ‘their own’! 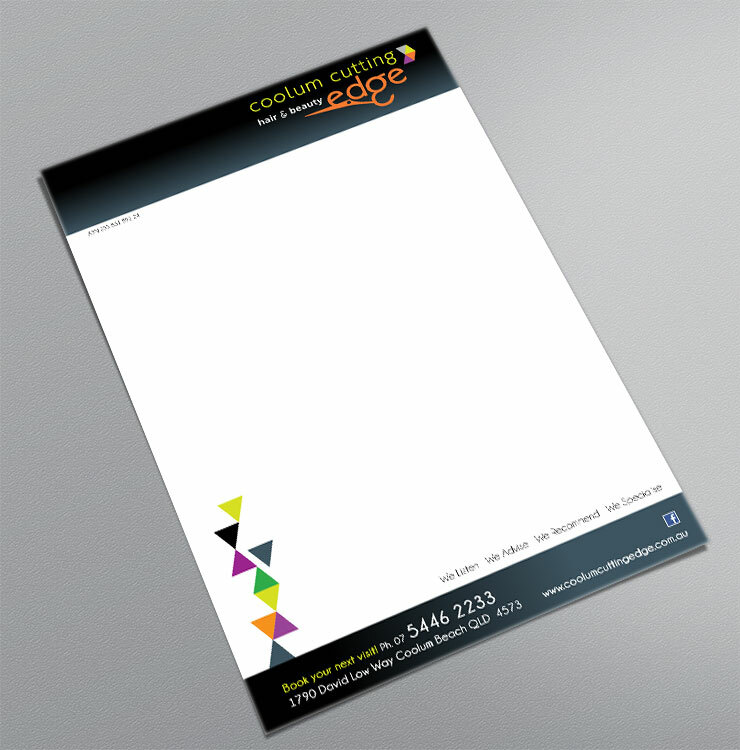 Developing brand identities for businesses is one of our areas of expertise. 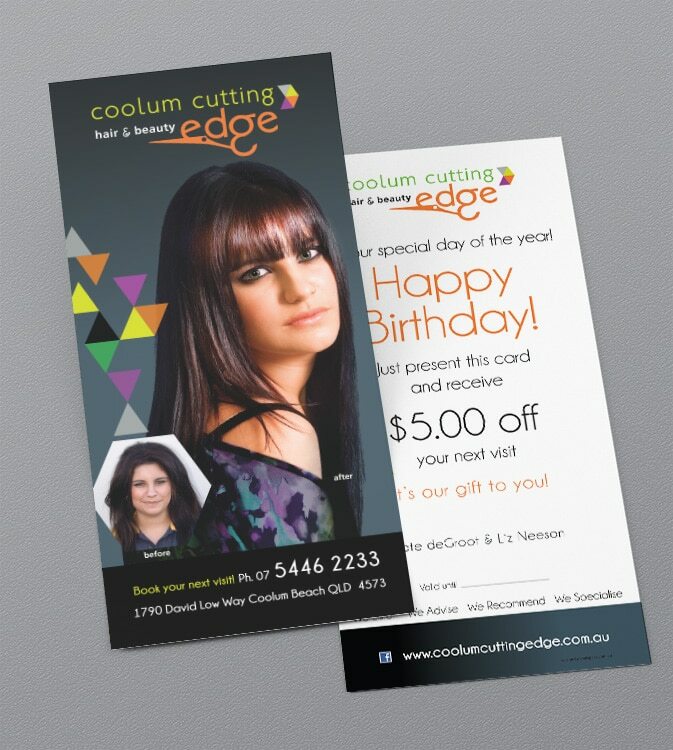 Contact us and let us help you re-brand your local Coolum Beach, Sunshine Coast business: logo design, business cards, brochures, print and free delivery and for a complete service, we’ll also look after all your new website needs.